The PeerTube project has made some huge strides since its initial inception in 2018, ramping up from a 0.0.1 Alpha release last January to a 1.0 stable release in December, the project has been great at managing its roadmap, and has updated it to reflect their 2019 plans. Here’s our takeaway of some of the more impressive features coming in. Netflix geht im zweiten Quartal von einem niedrigeren Zuwachs an Abonnenten aus. Im ersten Quartal sehen die Zahlen aber noch sehr gut aus. 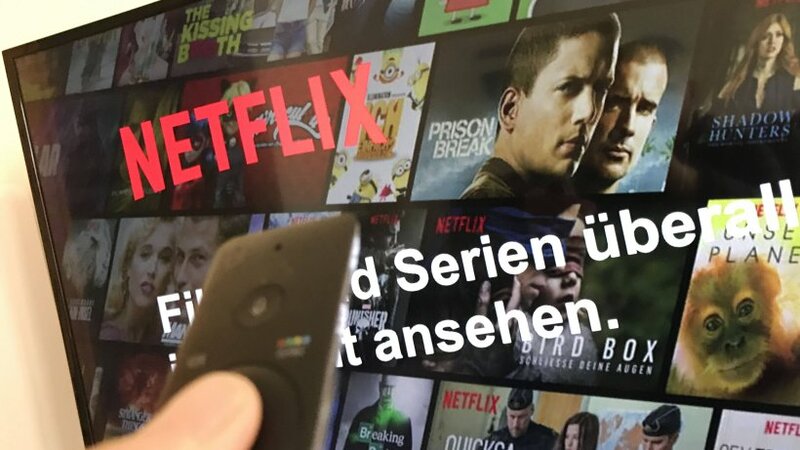 Netflix steht vor einem immer größer werdenden Problem: Denn nach und nach verschwinden Top-Angebote vom beliebten Streamingdienst. Disney will mit eigenem Video-Streaming-Dienst und exklusiven Inhalten Netflix & Co. Paroli bieten. Zunächst nur in den USA, später auch in anderen Ländern. Der Samstag steht ganz im Zeichen der Schallplatte. Der Record Store Day lockt mit speziellen Vinyl-Releases in die unabhängigen Plattenläden. Aber hält der Vinyl-Boom an? Antstream wants to emulate retro games in the cloud using streaming video like Google Stadia, though emulation is practically the best use case for edge computing. Kurzformate trenden auf der Fernsehmesse MIPTV. Die Produzenten wollen Kurzfilme und Miniserien für den mobilen Empfang etablieren. Die Preise für Netflix-Abos steigen. Nur das Einstiegsangebot bleibt von der Erhöhung verschont. Apples Streamingdienst setzt seine Offensive fort: Nach Steven Spielberg und Jennifer Aniston gewinnt er nun Oscar-Gewinnerin Julianne Moore für eine Horror-Serie. Das Drehbuch liefert ein Experte seines Fachs. Al NAB Show 2019 di Las Vegas, Intel e Netflix hanno presentato il codec video open source SVT-AV1: performance e scalabilità in salsa cloud. In der Serie „Turn up Charlie“ verkörpert Idris Elba einen erfolglosen DJ. Überzeugender als der Plot ist die Spielfreude des Hauptdarstellers. The challenge of #ebooks (or any other #streaming #technology): Where go the items, you paid for, when the services shut down? I wouldn‘t complain, if I bought my books from the publisher directly and I could move them to another provider instead of buying them over and over again in the case I want to re-read one. I see huge potential for enhanced business models here. The closure of Microsoft's eBook store is a reminder our digital "belongings" rarely belong to us. Künftig leiten Carlo Chatrian und Mariette Rissenbeek die Berlinale. Ein Gespräch über die Arbeitsteilung – und einen Streitpunkt in der Filmwelt. #LaRadio manda lo #streaming del nuovo album dei Giuda, E.V.A. Die Häuser sind verlassen, Autos stehen rauchend am Straßenrand. Unheimliche Roboter patrouillieren durch das Gelände und schießen auf alles, was sich bewegt. Als Teenager stellen wir uns der Invasion entgegen – LIVE ab 17 Uhr. Sie heißen Woplay, Streamba oder Oneflix: Jenseits bekannter Dienste wie Netflix gibt es Dutzende Websites mit vermeintlich attraktiven Streaming-Angeboten. Von ihnen sollte man lieber die Finger lassen. Die Deutsche Telekom erweitert den eigenen Videostreamingdienst Magenta TV. Wöchentlich gibt es von Filmtastic zwei bis drei neue Filme; exklusive Inhalte gibt es nicht. Amazon Prime Video zeigt im April die Blockbuster "The Revenant" und "Der Medicus". Netflix hält mit viel Humor, Action und dem Kultfilm "Easy Rider" dagegen. TAIPEI -- Taiwan is cracking down on video streaming services of Chinese tech giants Baidu and Tencent Holdings, citing national security and propaganda concerns ahead of a presidential election next year. Chiu Chui-Cheng, deputy minister of Taiwanʼs Mainland Affairs Council, told the Nikkei Asian Review on Thursday that Taiwan is likely to ban Baiduʼs popular iQiyi platform, and block Tencentʼs plan to bring its streaming service to the island later this year. "We are concerned that streaming media services that have close ties with Beijing could have cultural and political influences in Taiwan... and even affect Taiwanʼs elections," Chiu said. "If Tencentʼs streaming video service is trying to enter the Taiwanese market, itʼs very likely that itʼs a part of Beijingʼs propaganda campaign," he said. "What if the company inserts some content that Beijing hopes to advertise? What if it implements messages linked to the Communist Party or its army? We should treat this seriously and carefully at a national security level." Cross-strait relations have deteriorated since Tsai Ing-wen was elected in May 2016. China believes the president and her Democratic Progressive Party are seeking independence for Taiwan -- a red line for Beijing. China views the democratic, self-governed island as a wayward province and refuses to rule out the use of force to bring it back under its control. The official said that Beijing has stepped up its "cultural infiltration" into Taiwan after Chinese President Xi Jinping used a speech in January to push for an accelerated reunification process. Taiwan does not allow any Chinese Netflix-like streaming services to operate locally, but search engine giant Baidu has been operating in Taiwan through an agent, OTT Entertainment, after Taipei blocked the platform in November 2016. The companyʼs data shows iQiyiʼs Taiwan site -- one of the most popular video streaming platforms on the island, has 2 million active daily users. iQiyiʼs main offerings are Chinese and South Korean dramas, while Netflix provides more English-language shows. Two popular dramas on iQiyi recently were "Story of Yanxi Palace" and "Ruyiʼs Royal Love in the Palace," high-budget period dramas that looked at womenʼs struggle for power in Chinaʼs ancient imperial court. The Chinese streamerʼs discounted monthly subscription now stands at 227 New Taiwan dollars ($7.36) for two devices, compared with Netflixʼs monthly plan of NT$270 for one device. OTT Entertainment, founded by iQiyiʼs Taiwan regional head, Young Ming, in October 2015, says it has no links with the Beijing-based company. OTT told Nikkei it is Taiwanese company that pays taxes and complies with government regulations. "Chinese video streaming operators cannot operate in Taiwan," Minister of Economic Affairs Shen Jong-chin told parliament on March 20. "Finding an agent to do business here is an apparent loophole, and we will fix the hole." Taiwanʼs Investment Commission has asked the Justice Ministryʼs investigative bureau to review the share ownership structure of OTT Entertainment. "If we find any Chinese investments in OTT Entertainment, we will demand the company withdraw the investment and leave Taiwan immediately," Emile Chang, secretary executive of the commission, told the Nikkei on Thursday. "If we can deal with iQiyiʼs case, we can prevent Tencent from exploiting the same loophole." Increasingly harsh rhetoric from China this year has prompted the Tsai administration to toughen its stance on what it sees as interference by Beijing in the islandʼs affairs. On March 11, Tsai issued guidelines to all government agencies to counter Chinaʼs push for reunification and adoption of the "one country, two systems" principle. The directive aims to battle what is, according to Taipei, dissemination of misinformation, and to protect its democracy in cross-strait interactions. Chiu of the Mainland Affairs Council said the Tsai administrationʼs clampdown on Chinese companies operating illegally in Taiwan is not restricted to content streaming providers. "Streaming media service providers are only an example. We will also look into other Chinese companiesʼ agents in Taiwan to see if they have violated laws," he said. 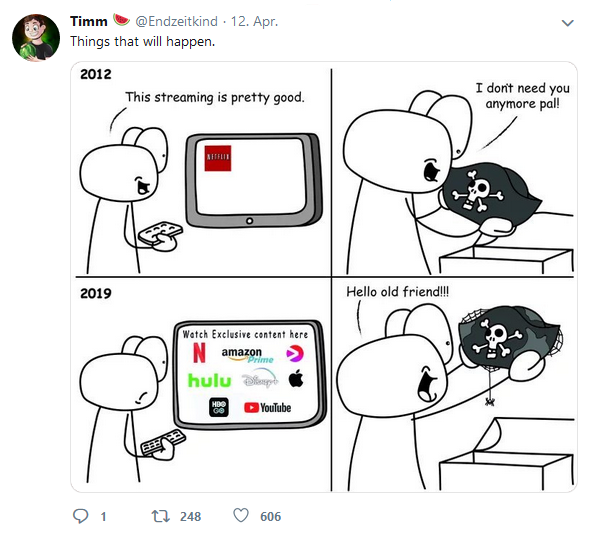 But market watchers said that banning these streaming services will not stop Taiwanese people from watching Chinese-made movies or other content. They also foresee the sites increasingly pushing pro-Beijing propaganda in the run-up to Januaryʼs presidential election -- a poll that is likely to be dominated by cross-strait ties. "Most big Chinese companies inevitably have a close relationship with the government, and I understand the woes from Taiwanʼs side on cultural infiltration from China," said Liu Ningrong, a professor and principal at the Institute for China Business at the University of Hong Kong. "However, there is no firewall on the internet in Taiwan and people could always look online to reach iQiyi, Tencent Video and other Chinese platforms..... Itʼs very unlikely to [be able to] exclude those contents," Liu said. "Either to criticize or give friendly talks on China-related issues is the best way to gain eyeballs and to be discussed among the public, which will benefit politicians who wish to run the elections next year," Chen said. > The new platform will operate as a social media network which people can use to #stream #live content from and to mobile devices, anywhere they have access to the Internet. This service will allow users to initially search for subjects that interest them, and then engage directly with the broadcasters to give instantaneous feedback and likes. The further plans with this service are that BitTorrent live, in days to come, will integrate blockchain technology that will return privacy and ownership to users and will also enable payments with the platforms utility token, BitTorrent (BTT). While the service has been launched, it will be rolled out in different countries in phases. It will be available for beta testing download in Q2 2019. Israels Filmemacher brechen gesellschaftliche Tabus und geben Einblicke in Welten, die vielen sonst verschlossen bleiben würden.Das kleine Land ist zu einer echten Größe im internationalen TV-Geschäft avanciert. Apples neue Dienste: Zahlen, bitte! Apple präsentiert neue Unterhaltungsangebote statt neuer Gadgets - und etliche Hollywood-Stars. Was der Spaß kostet, verriet das Unternehmen nicht. Der Einstieg von Apple ins Streaming-Geschäft wird eine Entwicklung beschleunigen, an deren Ende der Tod des linearen Fernsehens steht, meint Andreas Becker.